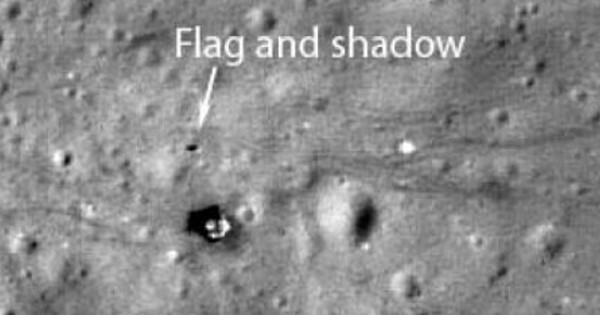 USA | Pictures of a red flag resembling former Soviet Union flag, captured on Monday on the surface of the Moon by researchers and scientists of the Lick Observatory, raise questions about the former Communist regime’s space program. A team of astronomers, lead by UCLA Professor Sven Meyer, noticed something unusual on the surface of moon while they were observing a previously unchartered area of the Moon’s northern hemisphere. Upon further investigation, they were able to determine that it was, a large red-colored flag. The image have drawn a lot of attention from both the public and scientific community, as they raise the possibility of that secret Soviet space mission may have reached the Moon, without the world ever knowing. It has been known for decades, that many Soviet missions were never made public, either to hide failures and human losses, or to protect the country’s secret technology. Some Russian scientists had already suggested that the Soviet Space program had successfully reached the Moon in 1967, but had kept the mission secret after the spaceship exploded upon returning to Earth. This is the first time, however, that any physical evidence of this space mission is discovered.